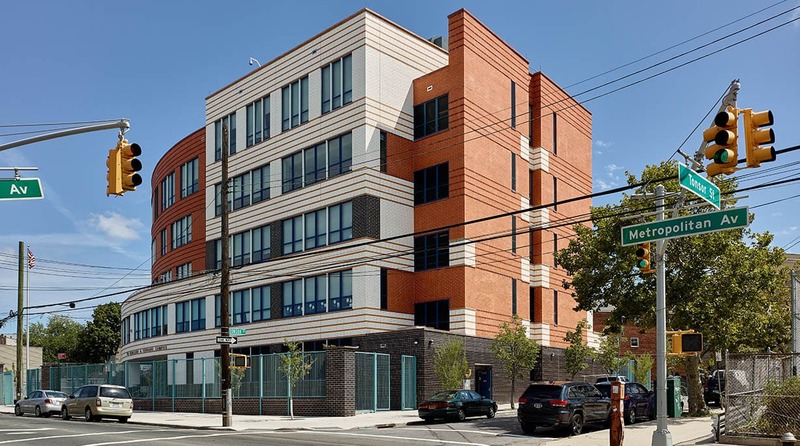 With a capacity of 616 students, PS 290Q serves Grades Pre-K through 5 for the local community and citywide District 75 special education programs, and also provides facilities that anticipate potential Intermediate School needs. 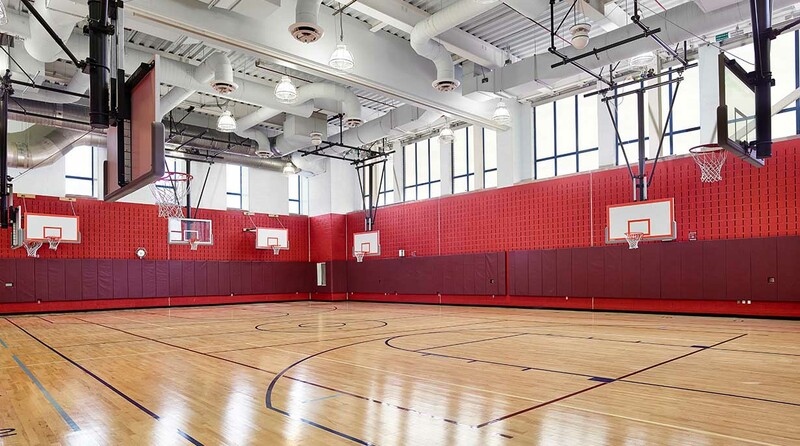 With such diverse programmatic requirements, PS 290Q accommodates separate “academies” within a single-building campus. We took advantage of a large setback along Metropolitan Avenue to create a generous drop-off and plaza and an expansive playground. The curving arc of the façade, articulated in the materials and detailing, creates a distinctive presence along the fast-paced street. We designed the main lobby to be a treasured and memorable student experience. Students and visitors enter the building through a soaring double-height space with views to the main library above. Facilitating the integration of art and architecture, we collaborated with artist Sarah Beddington on “From Here to There and Beyond…” which depicts various modes of flight within the lower panels of the lobby’s curtainwall. The layout of lighting inspired by the solar system complements the art installation. 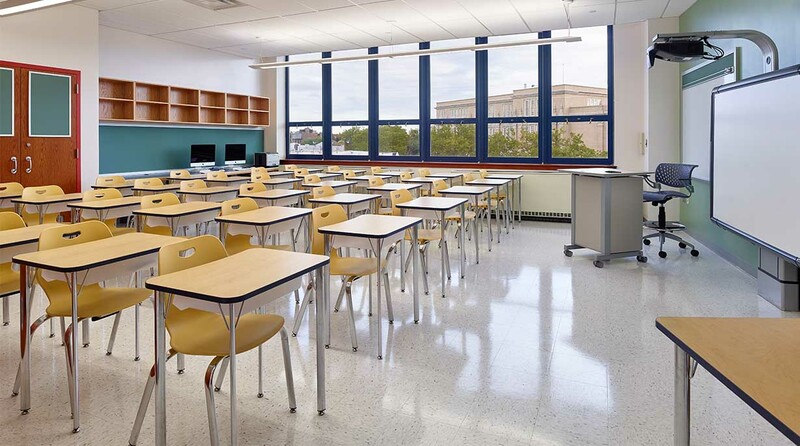 Abundant natural light permeates the classrooms due to the location of windows, shaped ceilings and strategic placement of light shelves, which improves students’ ability to focus and stay alert. Large corridor windows look into the main lobby, library, student dining and gymnasium, enlivening the interiors and encouraging communication and knowledge of school activities. Dynamic non-repeating patterns of ceramic wall tiles provide an energetic atmosphere. 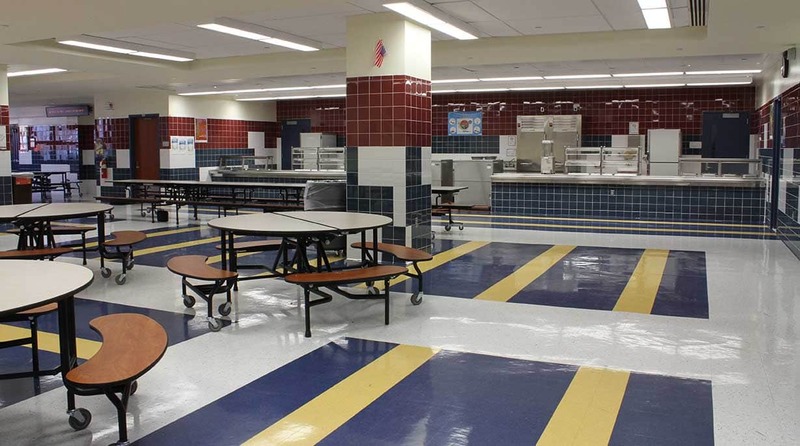 Each floor has a unique primary color combination that identifies the grades and assists wayfinding and spatial awareness.